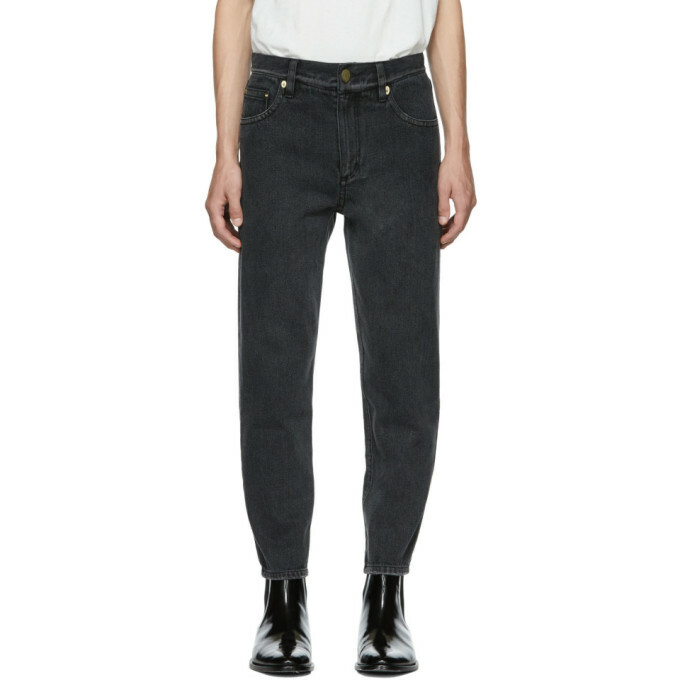 Tapered jeans in washed black. Fading throughout. Cropped leg. Mid rise. Five pocket styling. Zip fly. Antiqued gold tone hardware. Tonal stitching.